Looking for a new yoga experience in a fun environment? Then Yoga at the Hare is for you! Join us for yoga and cocktails at Whistling Hare Distillery where you will be guided through a one-hour yoga class followed by a complimentary cocktail crafted with the finest Whistling Hare spirits. We have a beautiful, brand-new lofted yoga studio that looks down over the production area and tasting room. Details: Your Sunday morning just got a whole lot better! • Each class includes your complimentary craft cocktail after class. 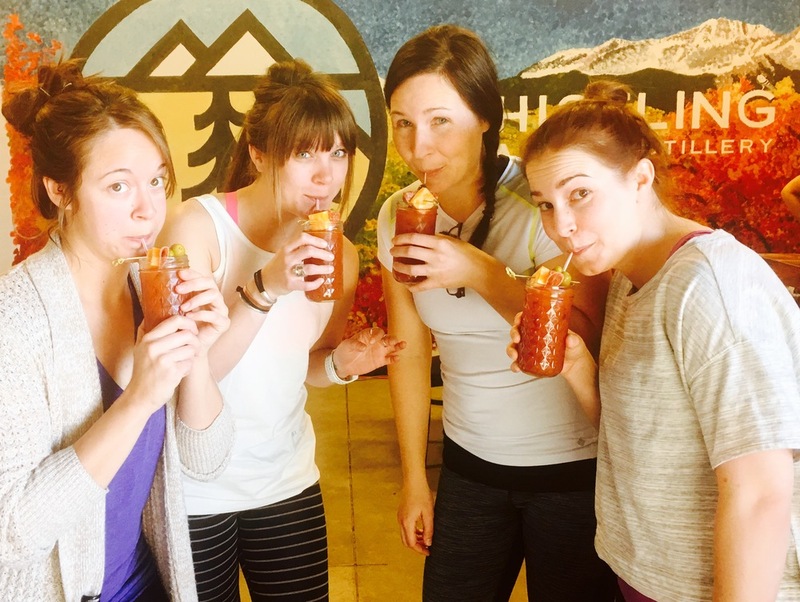 We serve up an awesome Bloody Mary! Please see our non-alcoholic menu as well. • Space is limited to 15 participants, so please be sure to register in advance! • This vinyasa yoga class is open to all levels of ability, but you must be 21 years of age to enjoy an alcoholic cocktail. • What should I wear you ask? Wear something comfortable that you can move in and that is also breathable, as you might work up a sweat! BYOM: Bring your own mat if you have one, otherwise we have extras around the studio for you to use.